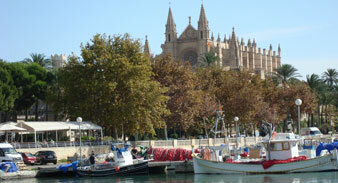 The Balearic Islands are a veritable paradise for sailors with an infinity number of coves and anchorages to explore. Mallorca has some amazing golden sand beaches. Croatia, one of the world's most wanted nautical destinations, invites you to an unforgettable sailing experience around more than a thousand of stunning islands. 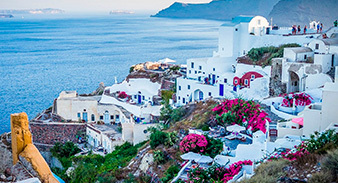 With more than 6.000 islands and islets scattered in the Aegean and Ionian Seas, the Greek islands have been made extremely popular for their ideal climate, safe waters. Our extensive experience in the yacht charter business has help as to take the lead in the sector and build a web site just for catamaran lovers all around the world. This type of charter is growing fast because a catamaran offers a relaxing cruising experience plenty of living space. Some of the reasons of this growing demand are the excellent deck space for sunbathing, the layout distribution in two hulls which allows for more privacy. Our booking website browser is optimized so you can book your catamaran comfortably from your phone, tablet or any device connected to internet. Our goal is the satisfaction of our customers and guarantee a swift and efficient service and to respond to your enquiries with no delay. If you are interested in a catamaran that you could not find here, or you require further information. We are at your service at all times.